The automotive industry is always on the forefront of innovation and they constantly are developing new vehicles that can benefit the consumer and the environment. It’s without a doubt that vehicles can impact the environment, which is why many manufacturers are always improving their building practices but the same can’t be said for cars that are currently on the road. Many older vehicles aren’t as environmentally sound as new models but there is a way to reduce their impact through recycling. A & P Auto Parts is much more than an auto dismantler, we recycle auto parts that reduce the need of manufacturing new parts, which saves valuable environmental resources. Through the recycling process, A & P Auto Parts salvages vehicle components that can be used again. 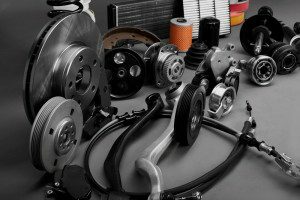 By reconditioning and testing the used auto parts, we ensure that the parts we offer will perform as they were originally intended too. This is one of the reasons why our used auto parts come with standard warranties and shoppers can even choose extended warranties if they wish. We carry a vast amount of recycled auto parts from every manufacturer and our online used auto parts search tool allows shoppers to find specific parts for any vehicle year, model and make. Every used auto part in our inventory undergoes rigorous testing, inspections and evaluations that must meet our in-house requirements. Each part comes with a letter grade that makes it easy to determine its quality because we strive to give our customers the best recycled auto parts possible. This saves shoppers money and reduces the environmental impact of the automotive industry! Parts with the letter grade A – the used auto part has less than 60,000 total miles of usage OR has over 60,000 total miles of usage but does not exceed more than 15,000 miles per model year of age. Parts with the letter grade B – the used auto parts have over 60,000 total miles of usage and exceed 15,000 miles per model year of age but cannot exceed 200,000 total miles. If the recycled auto parts do not fit these quality requirements, than they are not offered for sale because A & P Auto Parts only recycles parts that can give the shopper value and reliability. Additionally, the recycled auto parts come with a 90 day warranty on parts only but extended warranties that include labor and longer lengths of time are also available. If you are looking to save big on vehicle repair with recycled used auto parts, please contact us at 800-962-7222 today!